I'm having problems saving the Strength Checker. 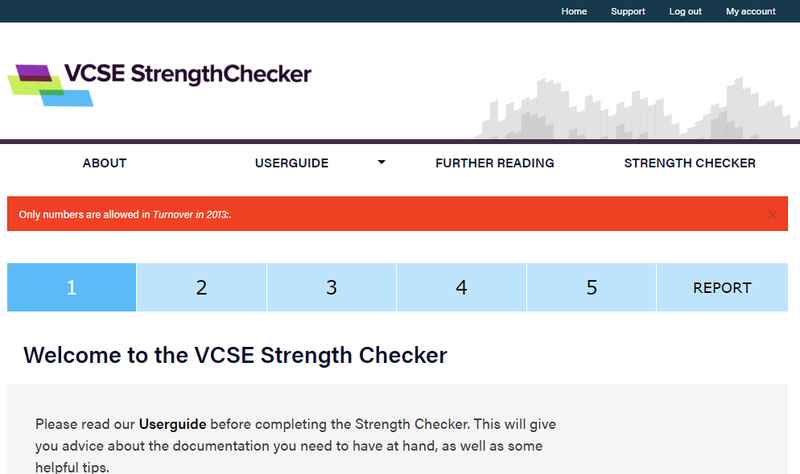 When you save at any point in the VCSE Strength Checker, it should show you your report. If this isn't happening, it may be because there is a validation error somewhere in the data you've entered. For example, you may have entered invalid characters in a numeric field. You should see a validation message at the beginning of the form, highlighting any areas where your attention is needed before you can save. If you don't see this, but you are still not seeing your report after you save, you can contact our support team. We advise that any data that takes a long time to enter (lengthy text answers for example) should be saved locally to your computer so that you have a copy and can re-upload it into the Strength Checker if necessary.